The items I have made here are sometimes experimental (such as making my own fabric for them) and always great fun. 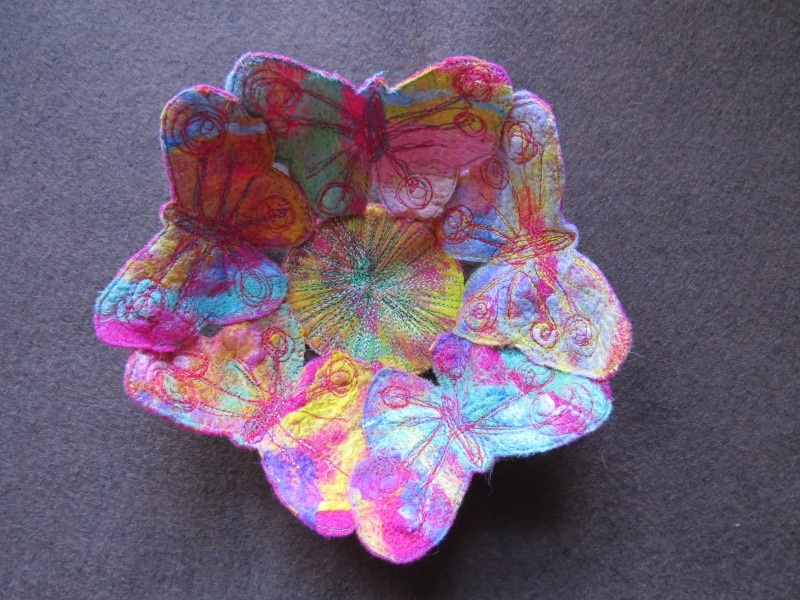 The Butterfly Bowl was a trial from constructing fabric using my BabyLock embellishing machine, which I made with some upcycled felt blanket and lots of silk fibres. 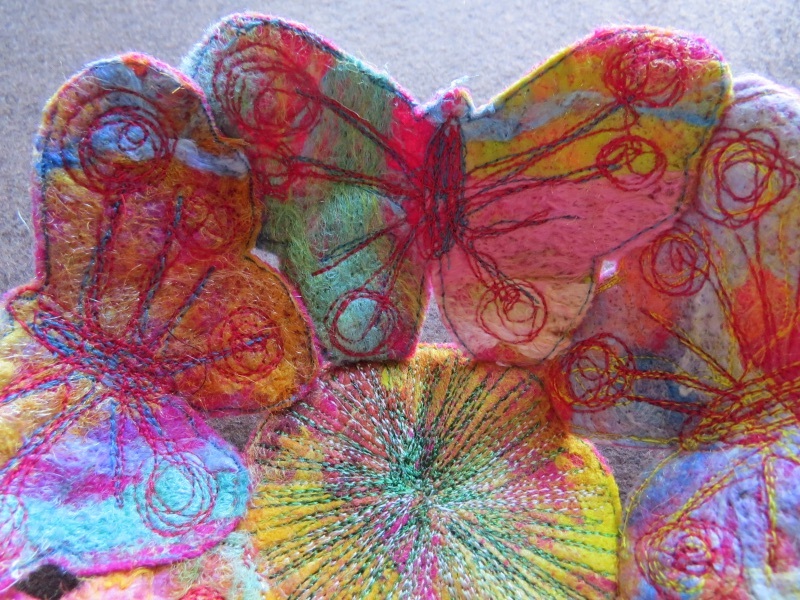 I then used my sewing machine to free-motion stitch the shapes of five butterflies and the circle base, cut those out and hand-stitched them together to form the bowl shape. 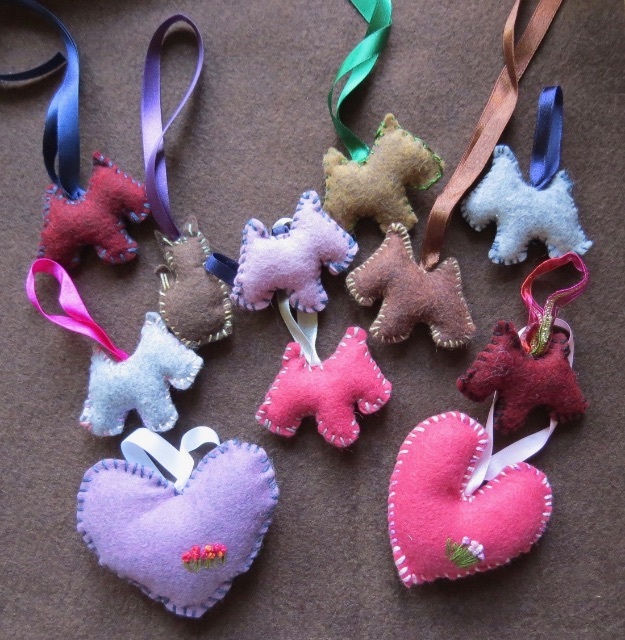 The Dogs, Hearts and Cat are simply constructed from two pieces of felt for each item, sewn together and filled with kapoc filler. 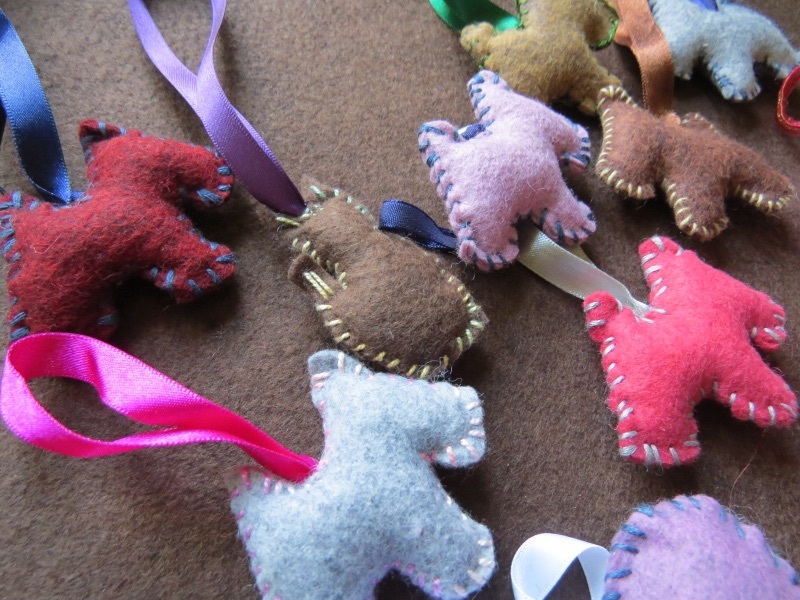 Each has a ribbon so that they can be hung up - I have one on my car rear-view mirror! 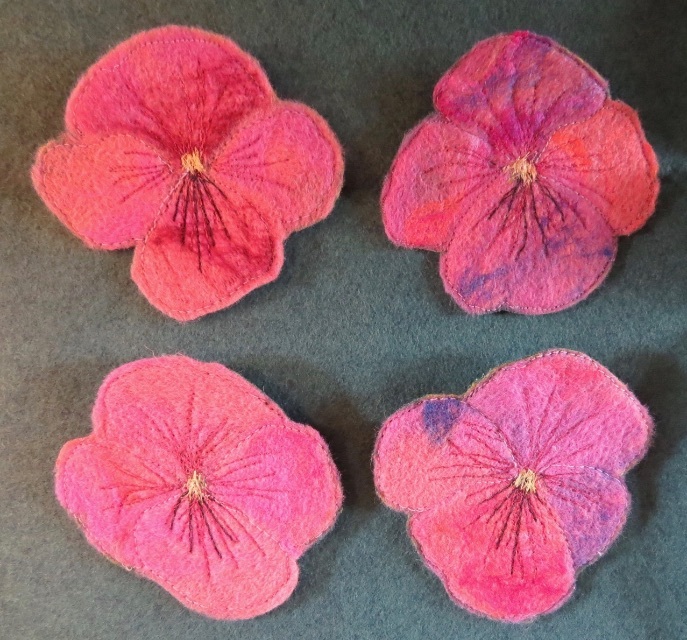 The Pansy brooches are approximately 3.5" x 3.5". The Butterfly Bowl isn't for sale (I intend to make others) but the dogs, hearts and cat are. See each picture for prices.